Mangrove trees have a chaotic, almost alien feel to them. In salty, waterlogged conditions, where other trees flounder, they thrive. 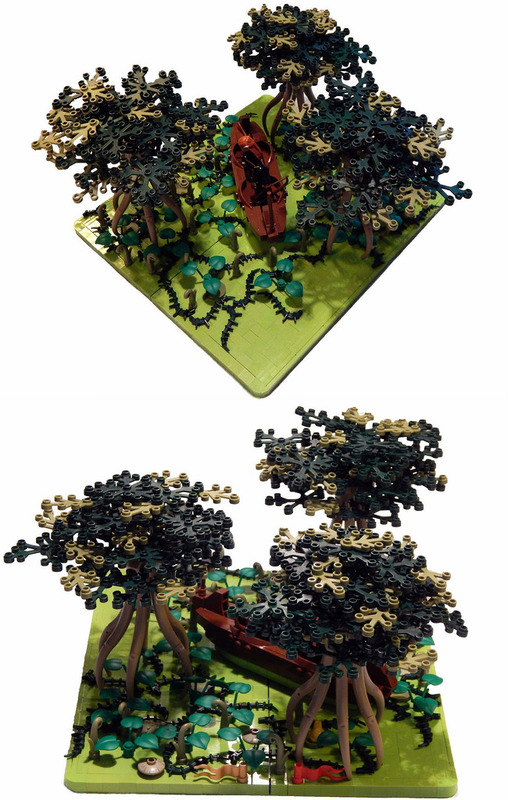 Tirrell Brown has perfectly captured the majesty of these strange trees in his most recent build. His swampy scene, which was built for Eurobrick’s Guilds of Historica, depicts a hidden croc warrior desperately fleeing a pair of dangerous dark elves. For now, the croc is escaping their notice. Can you spot him?